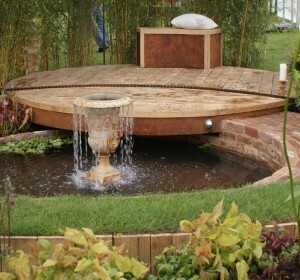 This space was inspired by the clients visit to the modern beach garden at the Malvern Spring Garden Show. 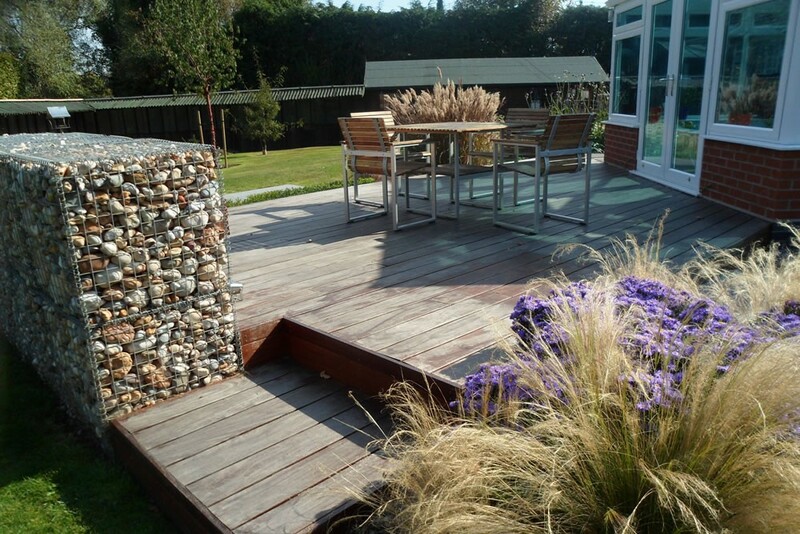 We linked areas together with granite paving, with stone filled gabions giving structure. 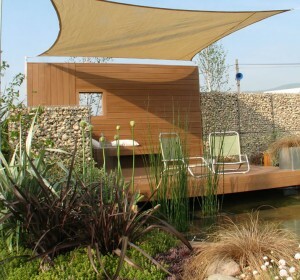 It was important to keep views open to the rest of the grounds, and for the garden to require little maintenance. 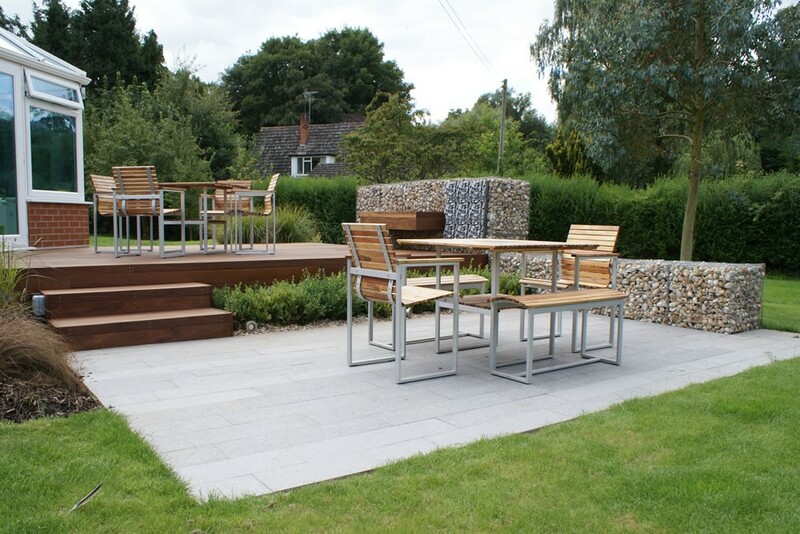 Granite paving is very hard wearing, keeps its colour well and easy to clean. 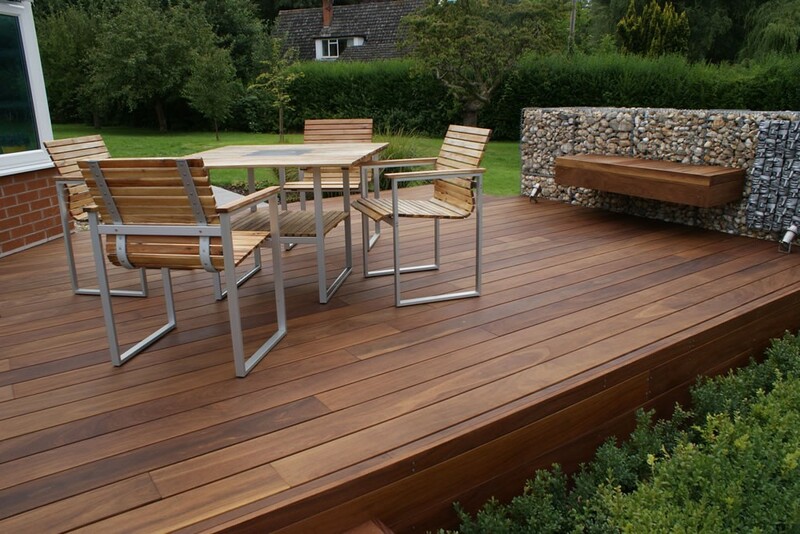 Ipe hardwood decking with hidden fastenings is a durable long lasting decking material. Gabions filled with flint cobbles tie in with the smaller flint aggregate used for mulching. 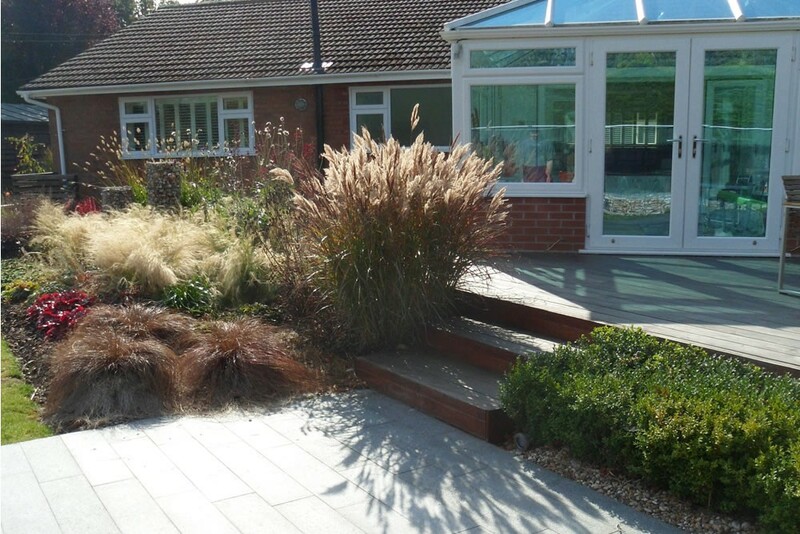 Miscanthus and other grasses provide a long season of interest, and a hiding place for the resident cats. 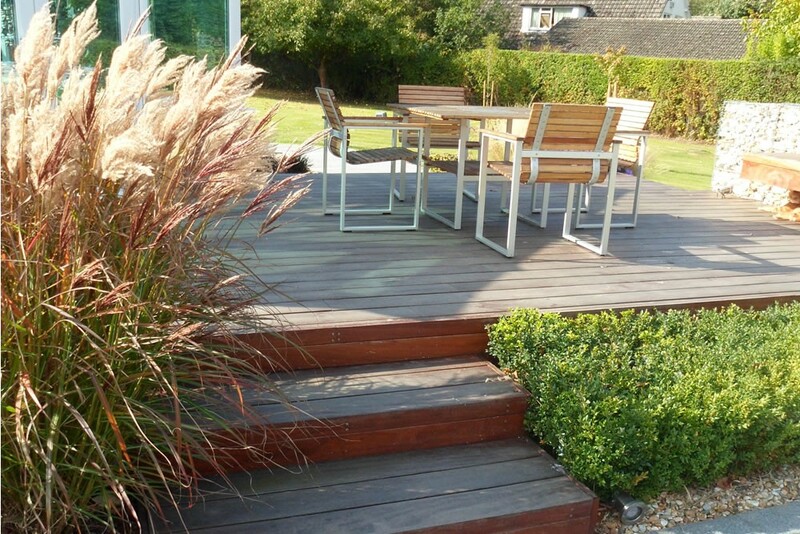 There was a minimal amount of planting on this project to reduce maintenance so the plants that were used had to look good most of the year.